Born in the United States, Tina is a Junior (3rd year student) pursuing a Bachelor of Business Administration. Her areas of study include Finance and Risk Management as well as Marketing. Tina is currently working with Our Community Inc. Group, a business consulting company that works specifically with social purpose businesses. With OCI Group, she serves as an intern in the Marketing/Branding department. Tina also devotes much of her time to serving faith-based and leadership development non-profit organizations as a volunteer. Born in San Antonio, Texas Nate is a senior student studying Finance and Risk Management (Major). Nate is involved on campus serving as vice president of his fraternity Sigma Phi Epsilon, and as Chief Investment Officer of the Investment Club. During 2016 he interned with Bloomberg in New Jersey working in their global data department. During this past summer, Nate interned with BlackRock in New York within their Institutional Sales department. After graduation, he will begin his career working for Bloomberg in New York doing Institutional Sales. 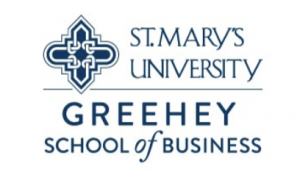 A Professor of International Business and Director of the Center for Global Business Studies, Dr. Johnson teaches International Business courses to undergraduate and MBA students in the Greehey School of Business. He enjoys leading students on study abroad programs, coaching NIBS teams, and traveling around the world. Born in the United States, Samuel is a 3 rd year Business and Administration student studying, Finance and Risk Management, with a minor in visual communication design. Currently Samuel is the head of a volunteer group that works with their local parks and recreation department and is also a member of a business scholars program. 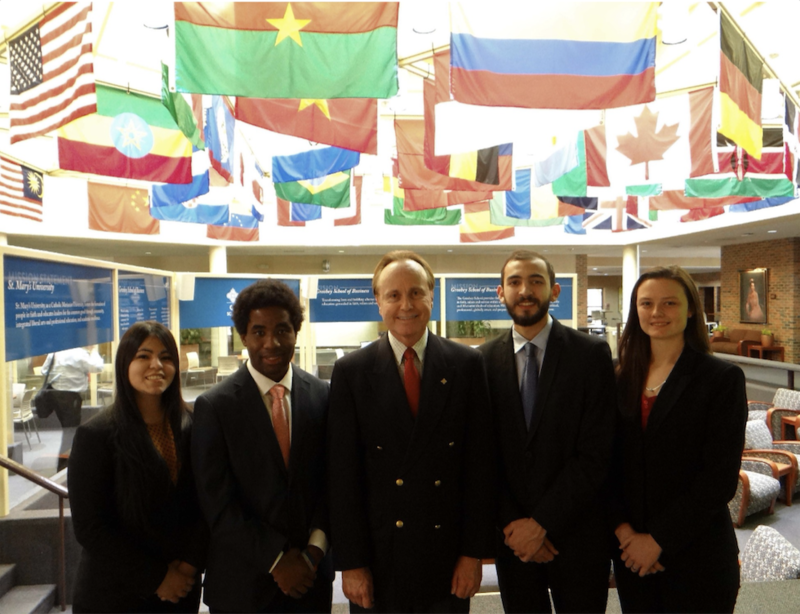 Samuel has competed in multiple collegiate competitions, including the NCLC case competition in Arizona where his team placed first. This summer he will be interning with The Hartford in their underwriting department. Post- graduation, Samuel plans to pursue a risk management career in the insurance industry. Born in Houston, Texas, Hannah Petersen is studying Finance and Risk Management as a 3rd year junior St. Mary’s University. She is a student -athlete on the women’s tennis team, an Honors Scholar, a Trustee Scholar, and a recipient of the Greehey Scholars Program’s full four- year academic scholarship. After her freshman year, Hannah interned with Frito-Lay in the Bronx, NY. In 2017, she participated in a three-week study abroad in Schmalkalden, Germany, and then spent five weeks volunteering in Vietnam, recruiting for St. Mary’s and teaching tennis, English, and life skills with Coach for College to 8th and 9th graders. This summer, she will be interning with HSBC in NYC under Global Private Banking. Morgan L. Grace is a professor of Business Communications at St. Mary’s University in San Antonio, Texas. She holds degrees in Communication Studies with a specific concentration in organizational communication management and quantitative statistical data analysis. Morgan has spent the last decade working and teaching at various universities in the U.S. and Australia; specifically at Texas Tech University, the University of New South Wales in Sydney, and the Jones Graduate School of Business at Rice University and now St. Mary’s where she is the co- coach of the 2018 NIBs program. She also has a background in speech and debate.